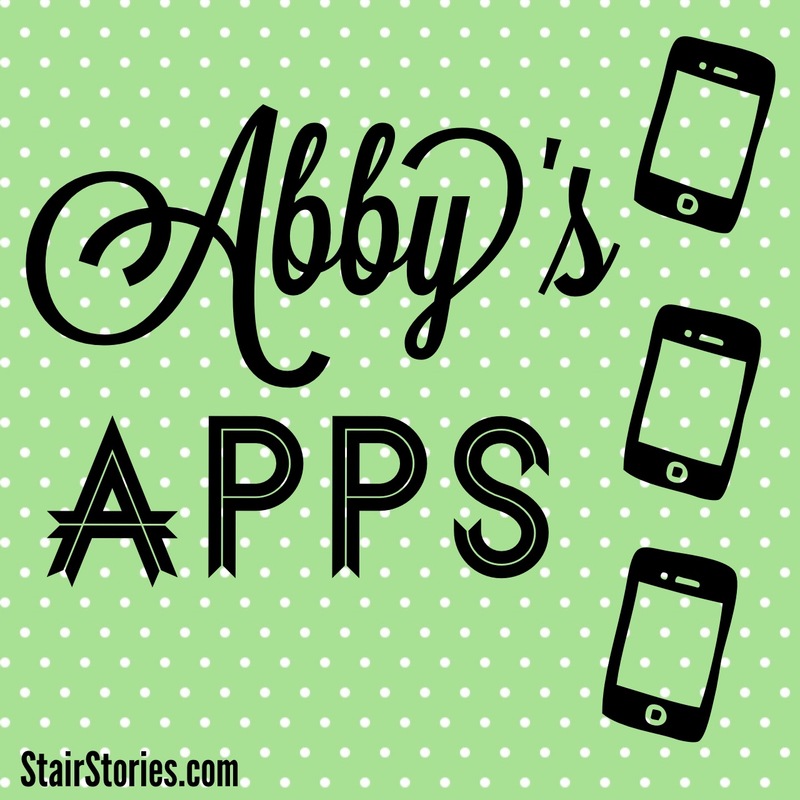 If you have been following my 31 Days series, Abby’s Apps, you may have noticed my posting later than usual this weekend. I have been needing a bit of a break and the challenge starts to feel a bit like a chore at this point – at least for me. I still have lots of ideas and like my topic but the daily posting requires regular time and attention. 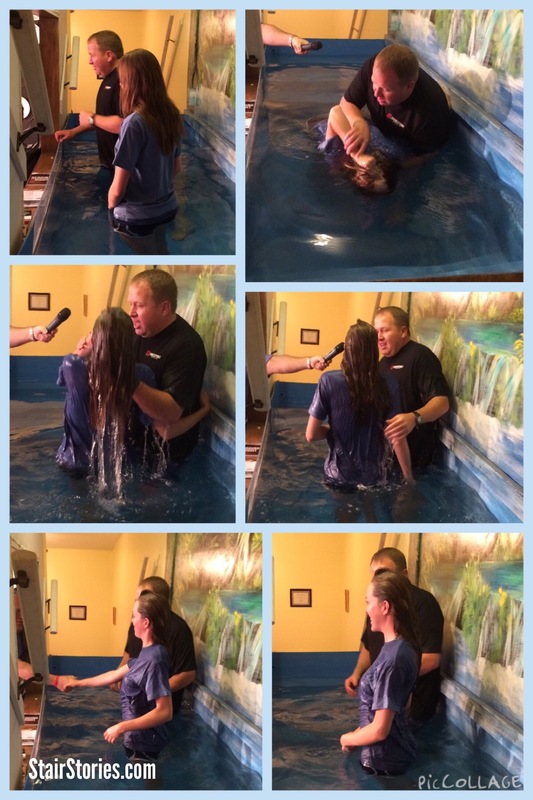 If you are doing 31 Days, how are you feeling at this point? 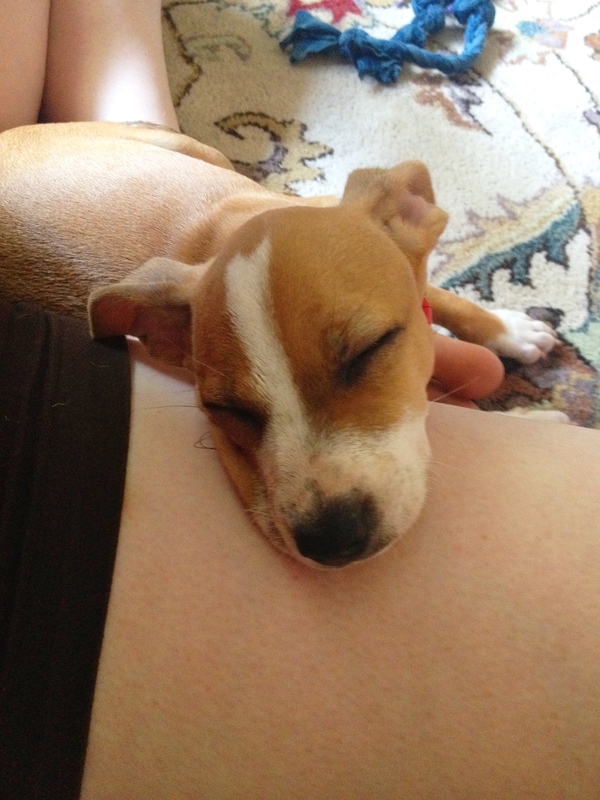 Do you have any rejuvenating tips? 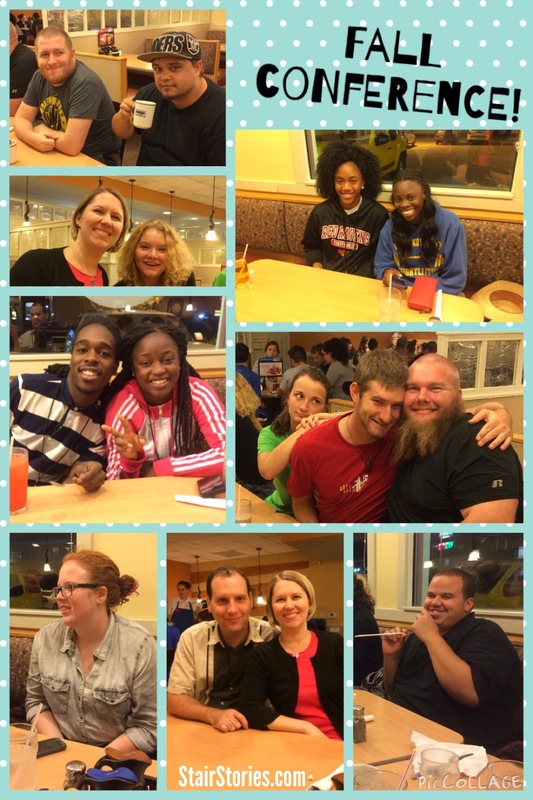 Although this is the second collage app I have shared, I use both often as I make a lot of collages. I tend to make collages when I want to share a lot of photos without a deluge of my life in my friends’ feeds or when my photos look a bit grainy. 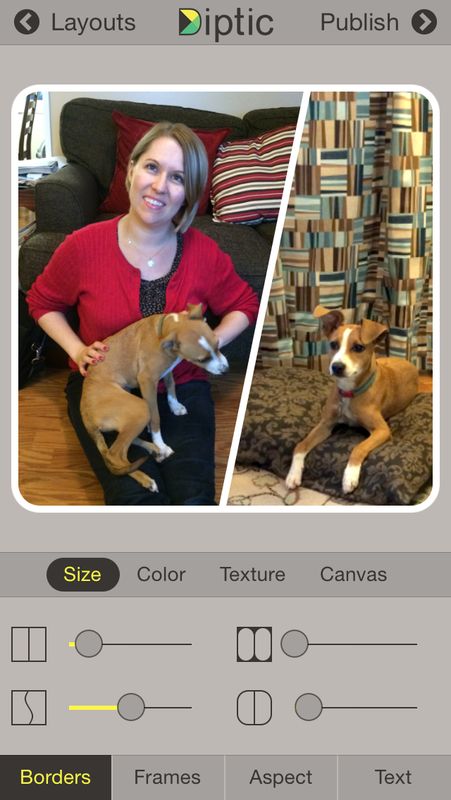 What It Does: Makes portrait or square photo collages in various formats. What I Like: I use PicCollage for rectangular collages and I like the option to delete a photo and leave that window blank if I want to put text or one of their many “stickers” in the space. There are lots of options for free sticker packs, so I periodically scroll through and download the ones that look fun. 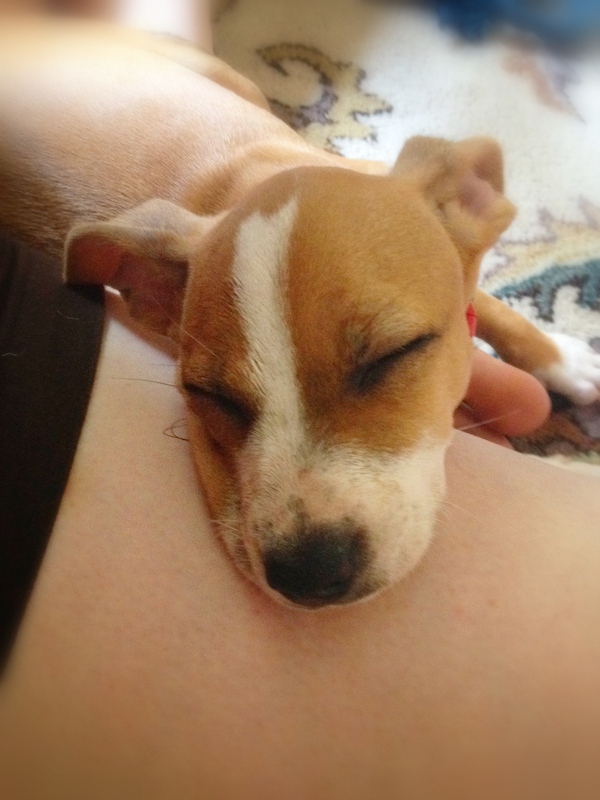 In addition, I like being able to choose which part of a photo appears in the window (a feature missing from Diptic). Finally, the freestyle option is nice when I want to overlap or strategically place certain photos and the pre-made frames just don’t cut it. What I Dislike: First of all, I want an option to adjust the frames when a photo will not quite fit as I want. Second, I would like more free font options as the current ones are very limited. I usually work around this challenge by collaging with PicCollage, saving the picture, and then importing to Over to add text. (They do keep adding options, just not ones I love.) Third, I would like the developers to remove the mandatory watermark in the lower right corner but it is their prerogative since it is their app. Have you used PicCollage? What do you think of it? 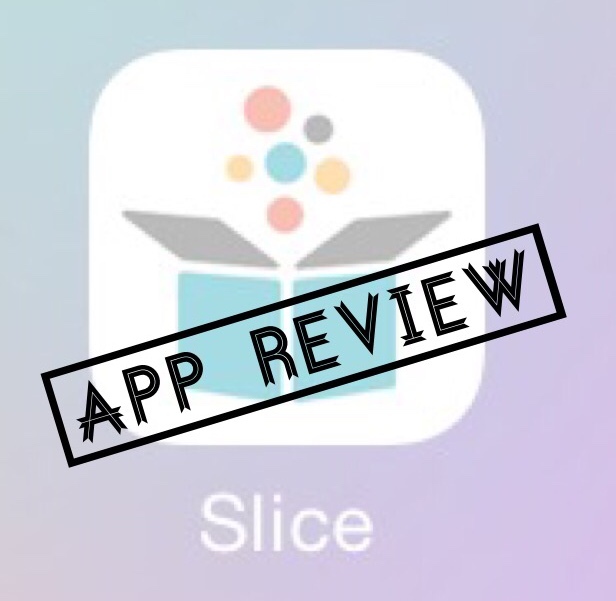 If you have a different go-to collage app, tell me about it in the comments! 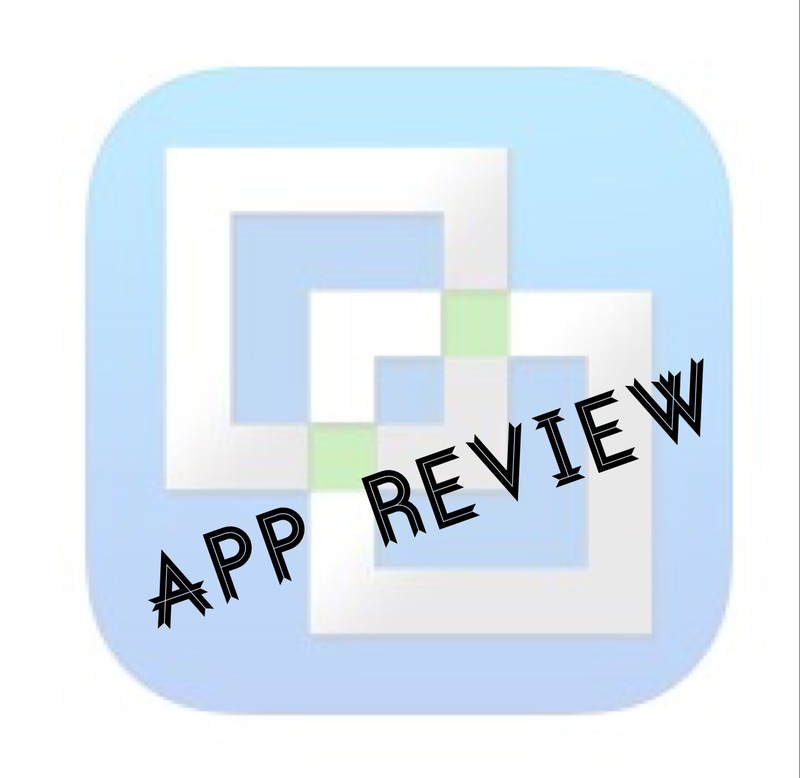 What It Does: Makes square photo collages in various formats. 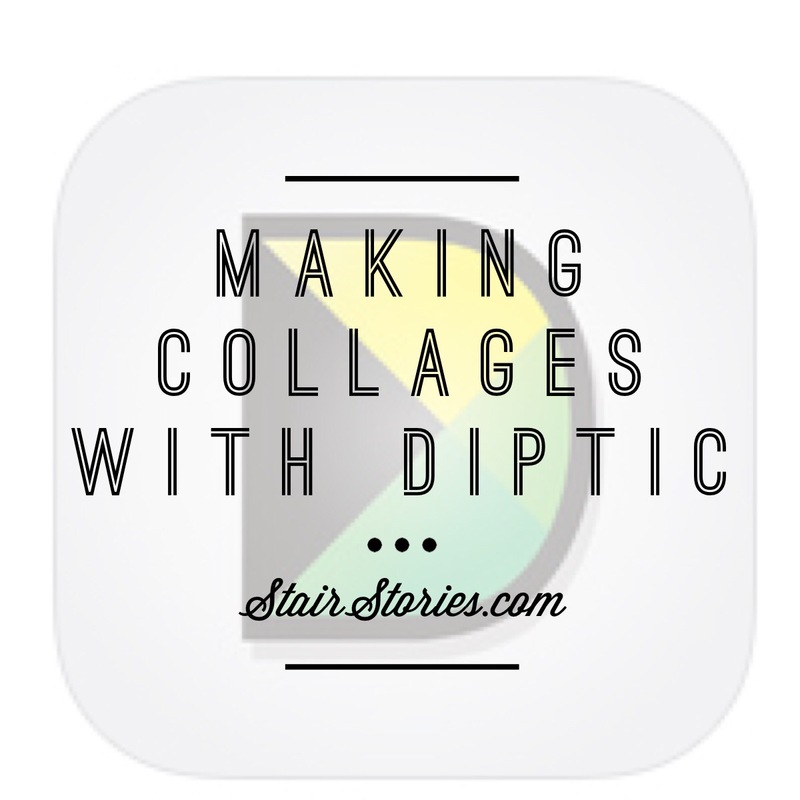 What I Like: Diptic offers a large selection of collage formats. More impressively (to me), it allows me to adjust the borders not only back and forth but also one end of a line at a time. 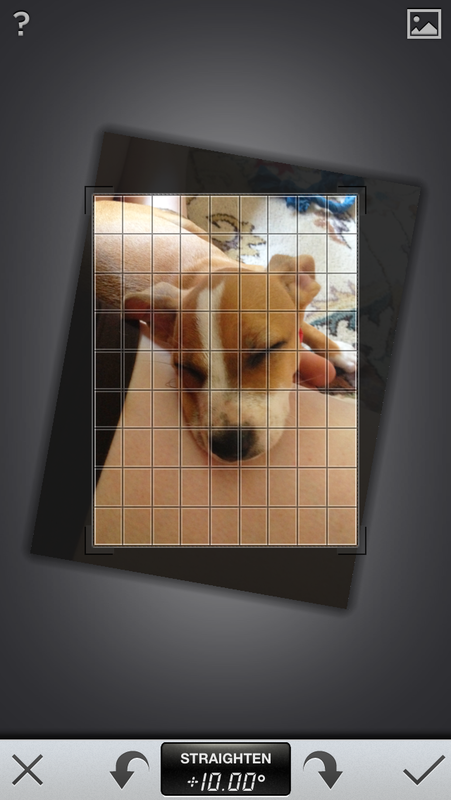 That feature comes in handy when my photos would look best not just stuck in an arbitrary format of squares or rectangles. 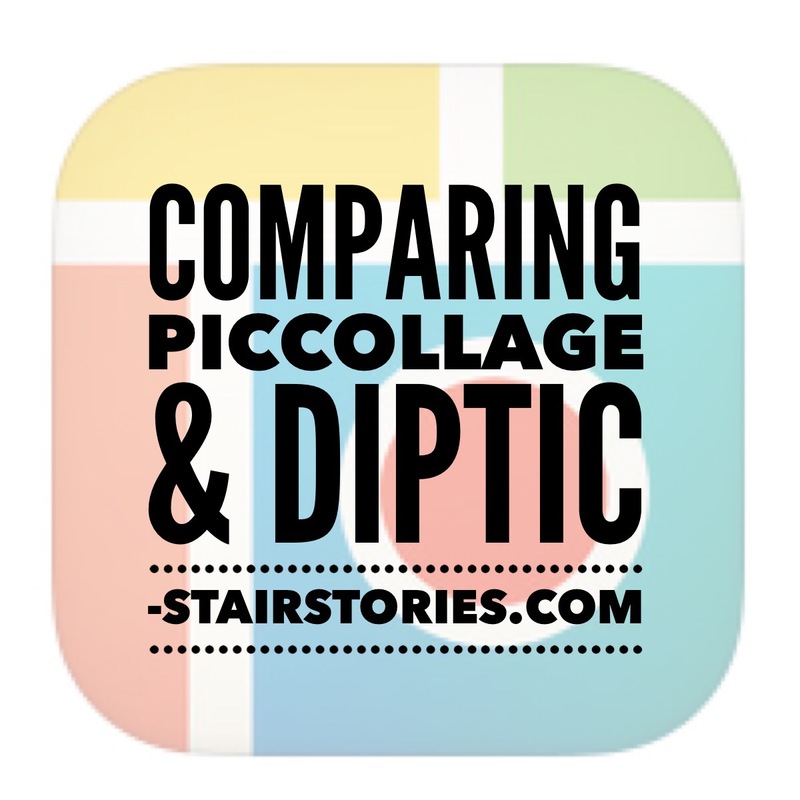 What I Dislike: I dislike two things about Diptic. First, there is no option to swap photos that have been imported into the app. If I decide the one on the left would be better on the right, I have to tap on each location to import the photo I want to that specific window of the collage. 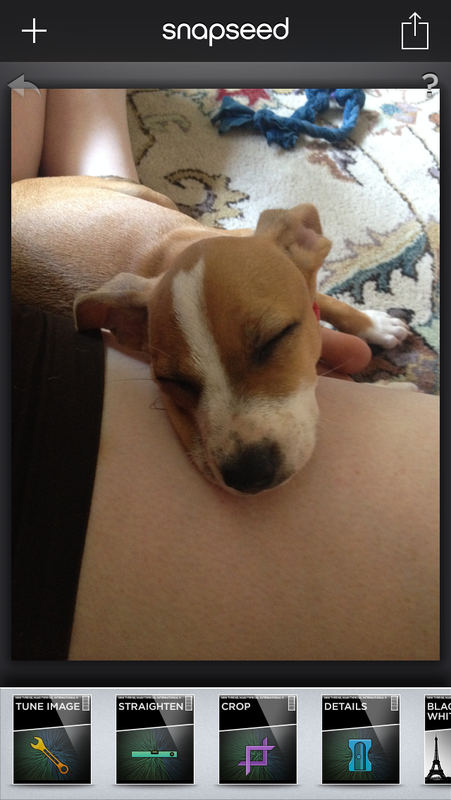 Second, the app seems to center each photo in its window and will not let me move it to center on something off-center. I usually work around this by adjusting the frames as I mentioned above. 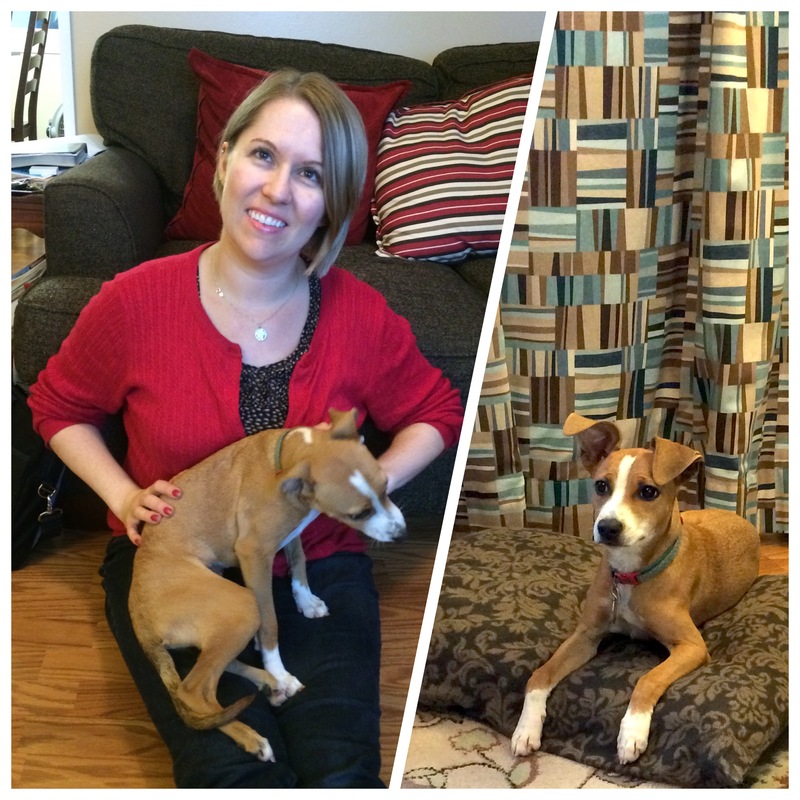 Cola has gotten so big but still thinks she’s a lapdog! 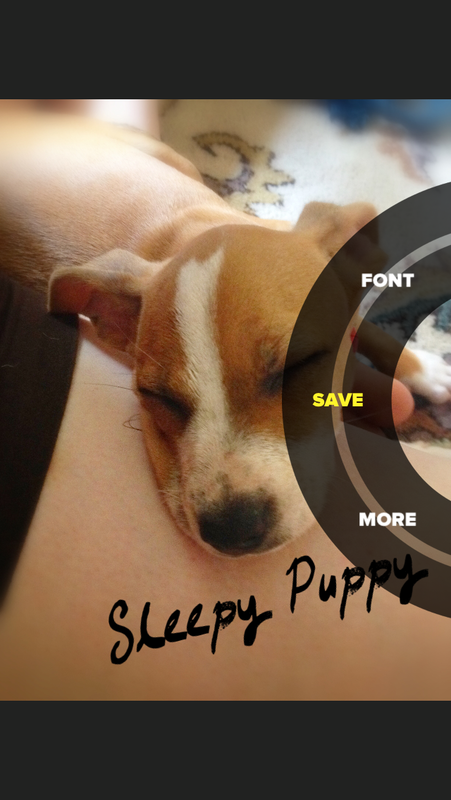 What It Does: The highlight of Over is that users can add text and shapes to photos. 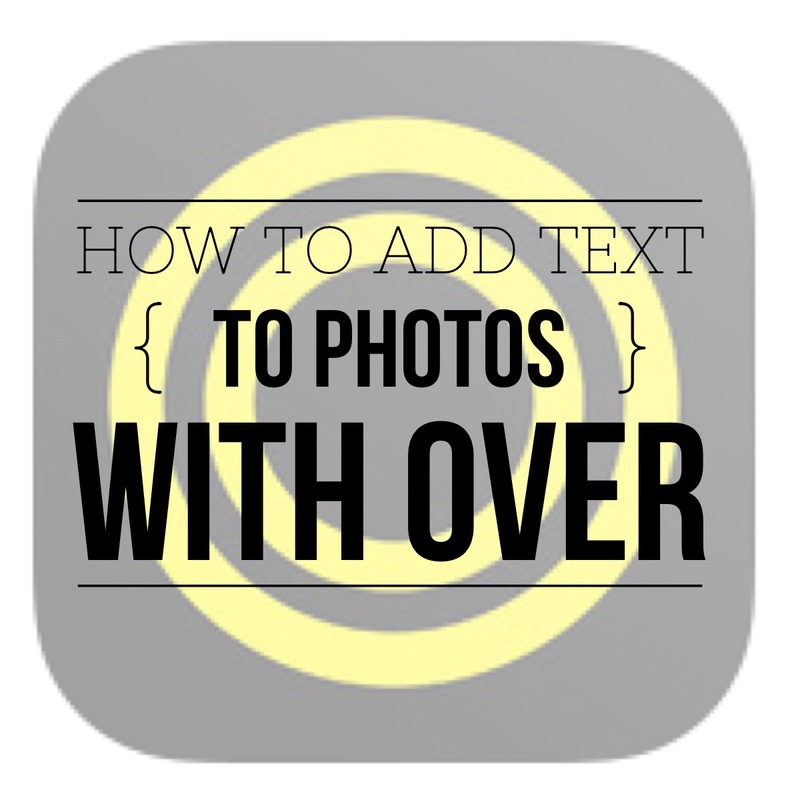 Over’s editing tools are minimal but convenient for tweaking a photo to make the text features look their best. 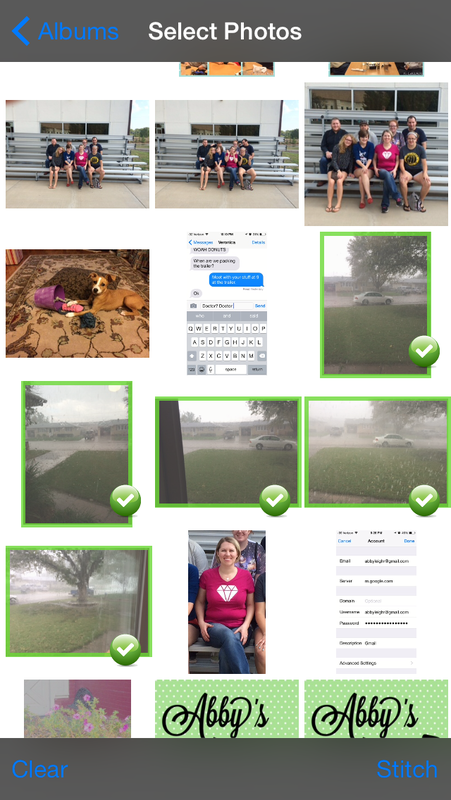 What I Like: The simplicity and speed of adding text and other features (like the arrows in the demo photos) makes it easy for me to take, tweak, and share photos in a matter of minutes. 1. 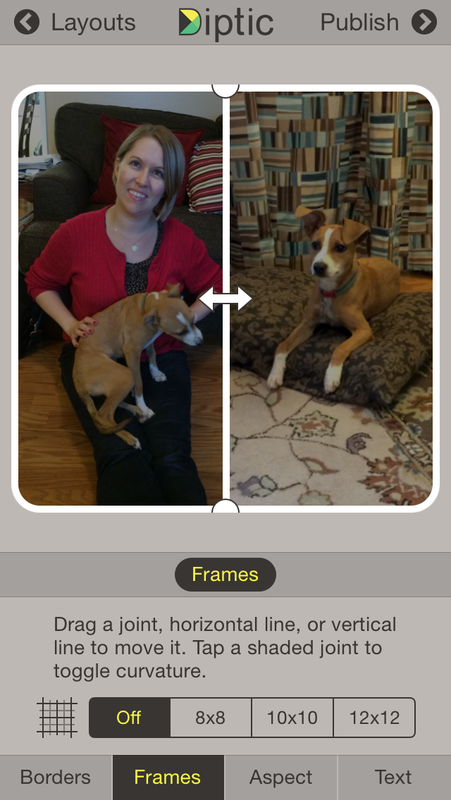 Choose a photo (or take one with the in-app camera). 2. Add text or a artwork. 3. 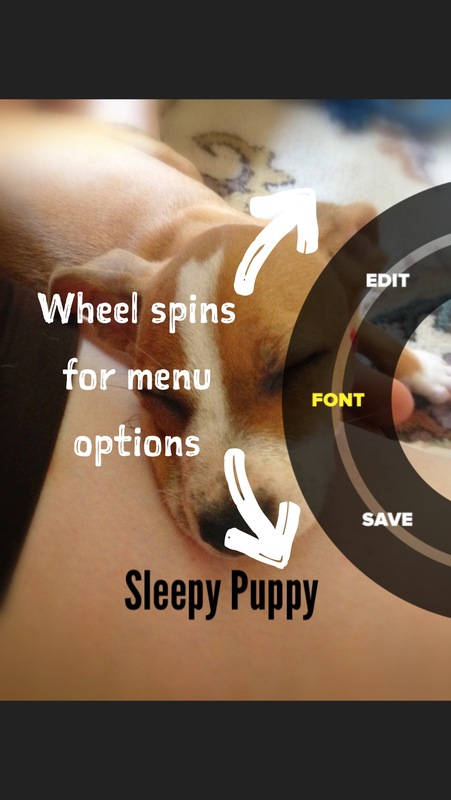 Choose Font from the menu and try out various styles. 4. 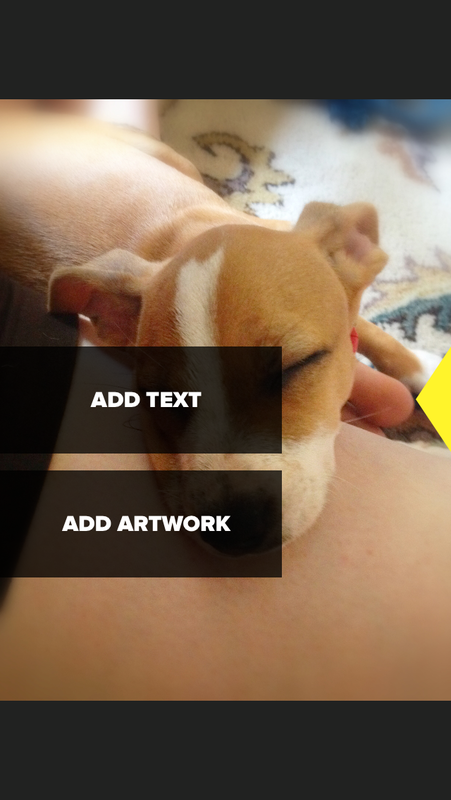 Choose Edit from the menu and then Rotate to tilt the text whichever way you prefer. 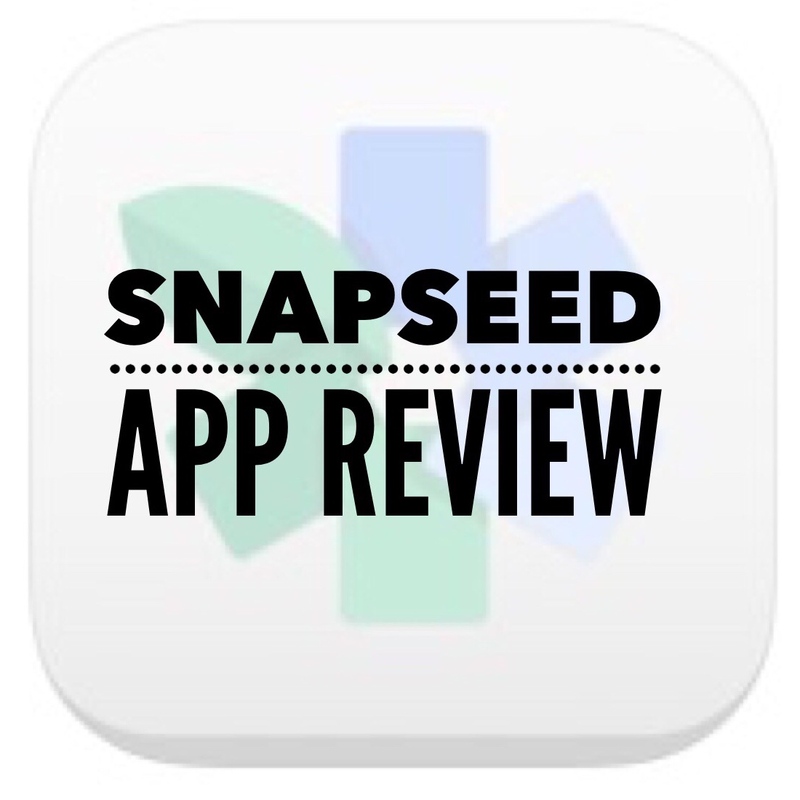 What I Dislike: The photo editing tools are limited and cannot not do everything I would like, but I use Snapseed for major edits. 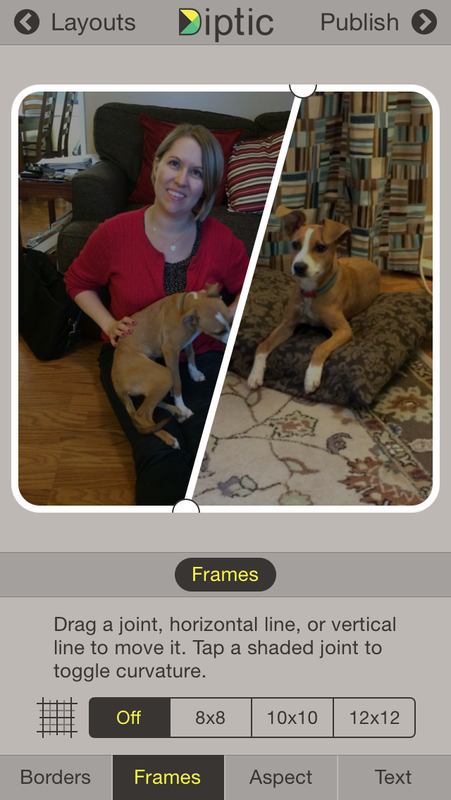 What It Does: Users can edit, enhance, and share photos with multiple settings and filters. What I Like: I enjoy how easy it is to make my photos look nicer than straight out of my iPhone camera. Used the “Tune Image” tool to set Brightness +28, Saturation +26, Shadows +9. What I Dislike: After I have applied changes to my photo, there is no way to undo the last change without completely starting over. I would like there to be an “undo” feature. The way I work around this is to save a version of the photo after each change so that I can go back a version or two as needed. 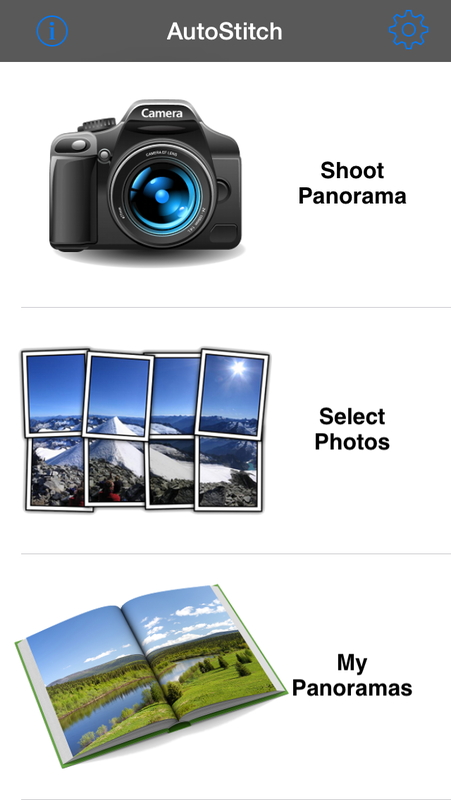 What It Does: AutoStitch converts overlapping photos into whole panoramas and allows automatic or manual cropping. 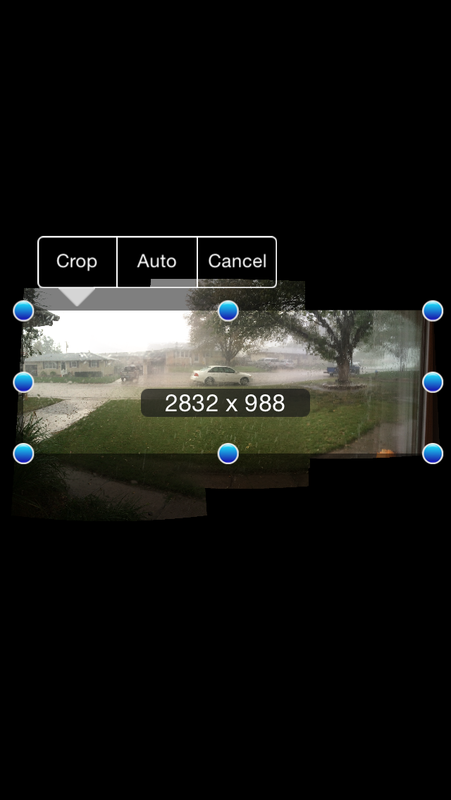 I have included step-by-step screenshots of how I stitched together photos of a downpour outside our house. 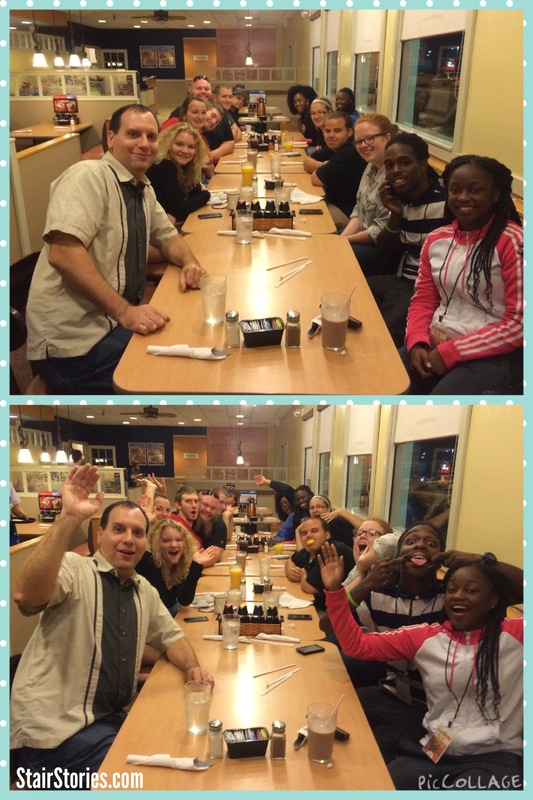 What I Like: I usually do not remember to take specific panorama shots and this app lets me piece together my own. I have not tried the in-app camera because the built-in camera is handier. Nevertheless, I have had great success importing photos from other apps and even photos taken on my digital camera during our honeymoon! 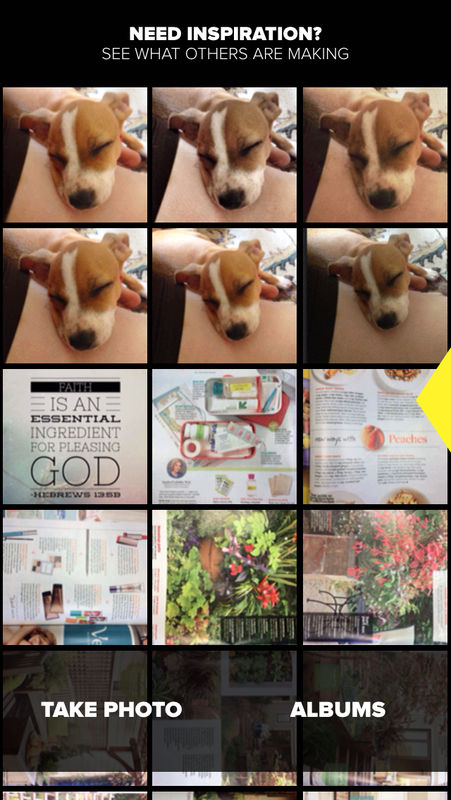 What I Dislike: Sometimes the app seems to get confused if photos are added out of order. If I receive a message that one or more could not be stitched, I simply clear out the photos and start over, trying to select them in left to right order. What It Does: Slice tracks shipments and orders by pulling the tracking numbers and other details from your confirmation emails. 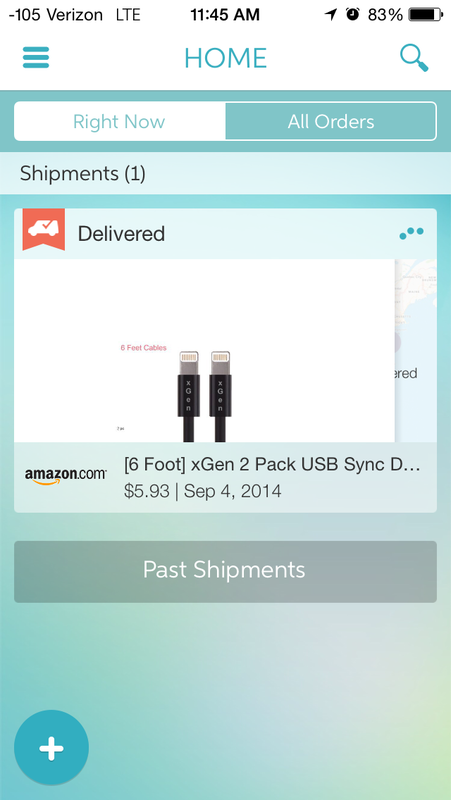 In addition, it monitors your past purchases for price drops and recalls. 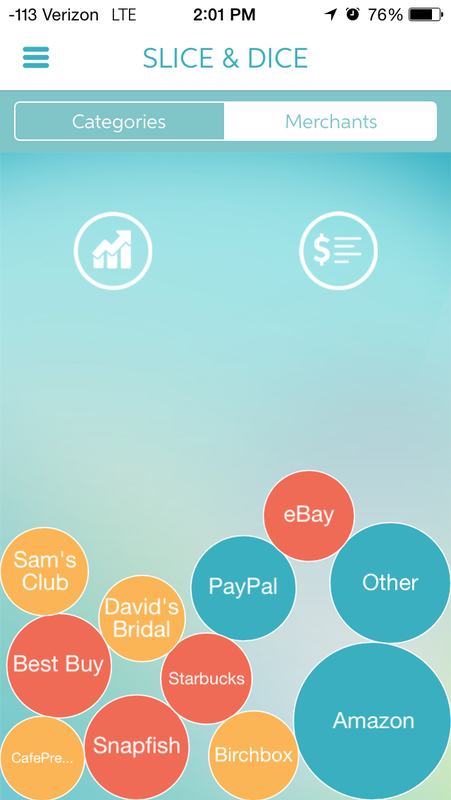 There are also other features like the ability to see spending history categorized by purchase type or vendor. What I Dislike: The categories Slice assigns to some of my purchases do not always match the actual item that I purchased. I did download an update to the app this week, though, so some of those issues may have been fixed. 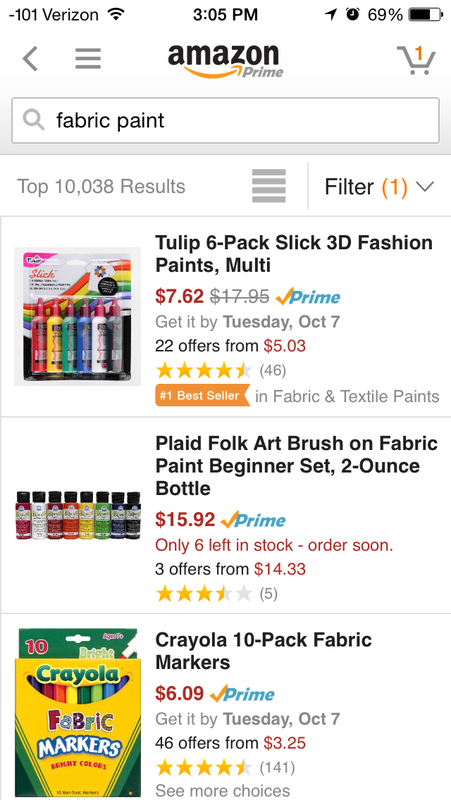 What It Does: Almost anything that you can do on the Amazon site, except for downloading or streaming purchases. What I Like: It is handy to be able to look up books by a certain author when I cannot remember a title or to add things to my wish list. 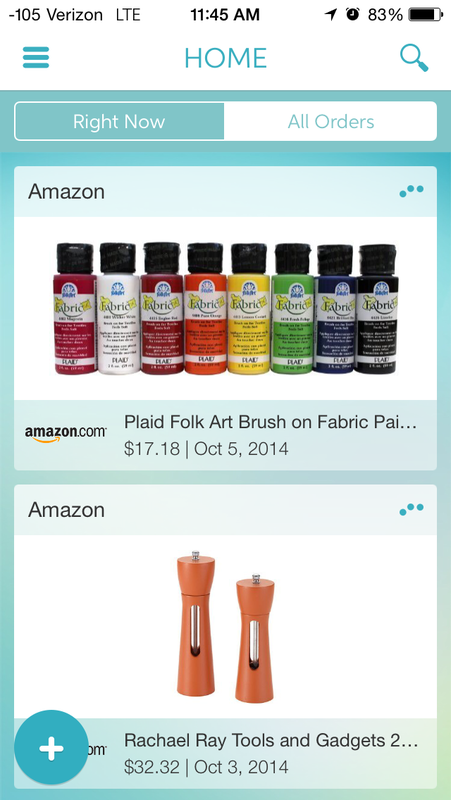 When necessary, I can also make purchases directly through the app. Side Note on Wish Lists: My family is spread across the state so we have embraced the Amazon Wish List feature as a way to show each other the sort of gifts we would appreciate. Giving good gifts is important to us but we do not always have great ideas. (Adult men can be hard to shop for, am I right?) 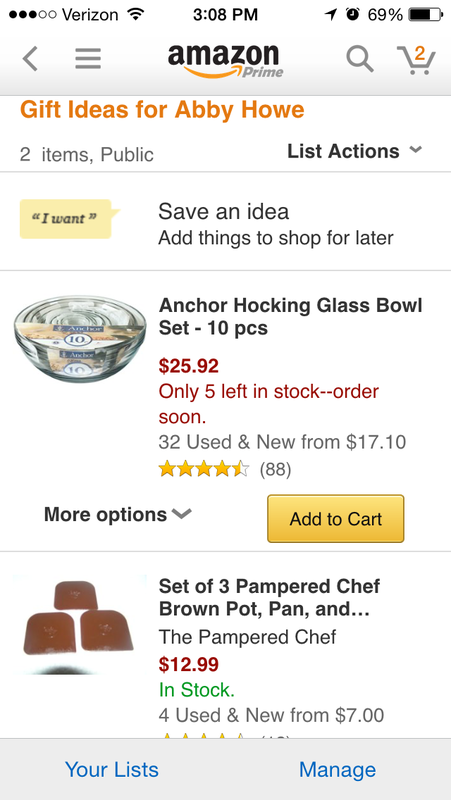 Amazon’s Wish List lets us add things from other sites or from the Amazon site, as well as including notes like “I want a nonstick, twenty-four muffin pan but it doesn’t have to be this one.” When Brian and I started dating, he mentioned he was unsure what to give me for my birthday. I showed him my wish list and told him that, like my family, he was welcome to use it for inspiration, to purchase something directly from it, or to give me something not even on the list. 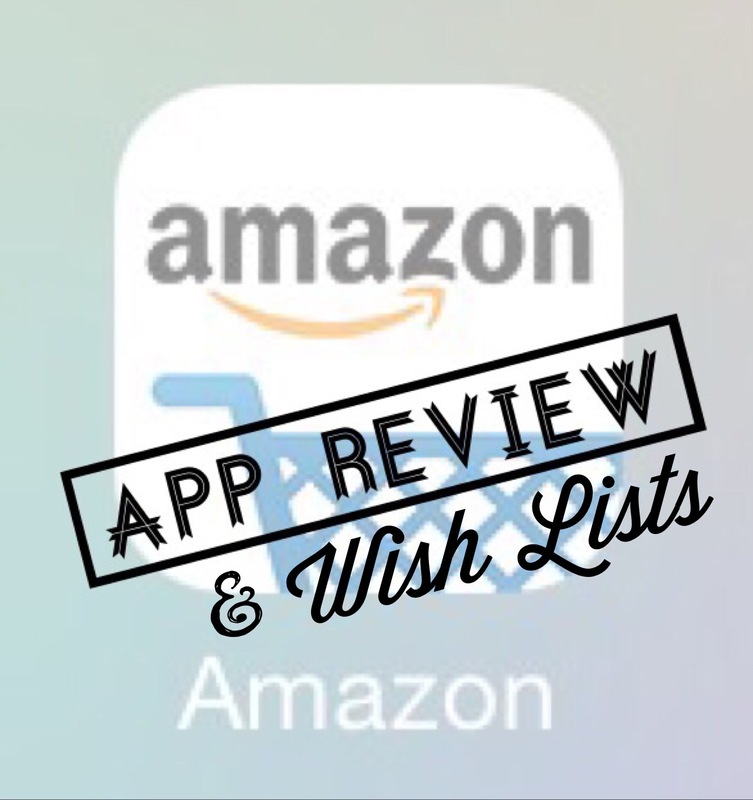 For my family, sharing wish lists on Amazon relieves some of the stressful guesswork of gift-giving. 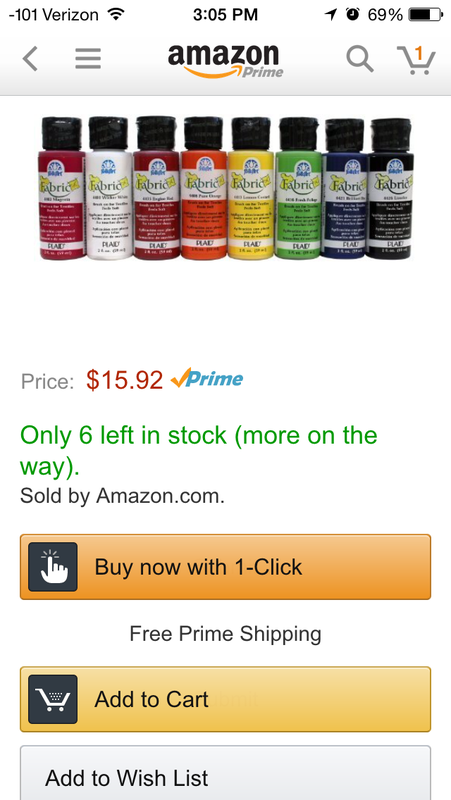 What I Dislike: When searching the normal site, I like to open each potential purchase in a different tab so I can compare features and prices but that is not possible with the mobile app. 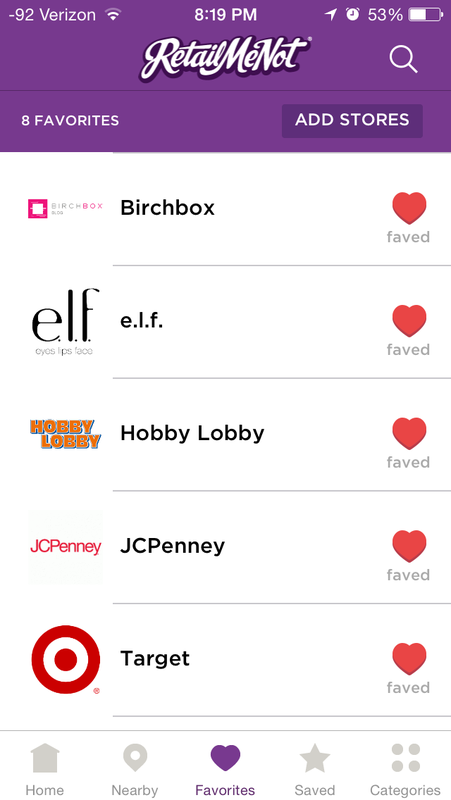 This is the third in my set of favorite shopping apps (not my third favorite, the order of the posts is random). If shopping apps do not strike your fancy, hang in there until Wednesday when I start my favorite photo apps! 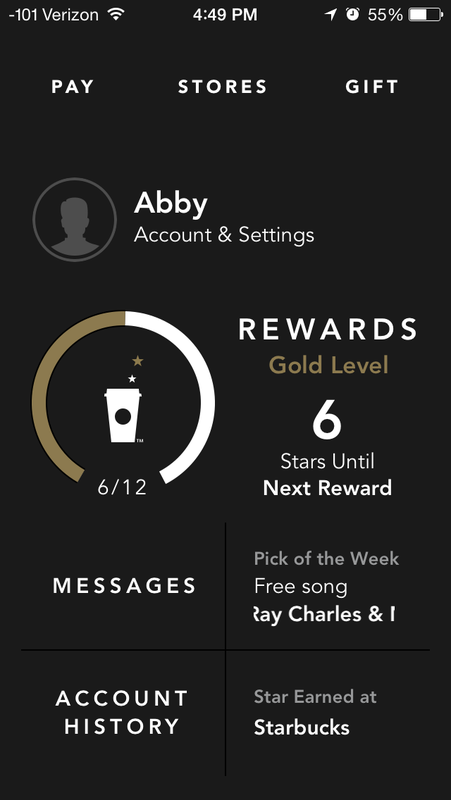 What It Does: Fans can locate the nearby stores, pay for purchases, reload or purchase gift cards, receive messages about sales and freebies, and redeem rewards. 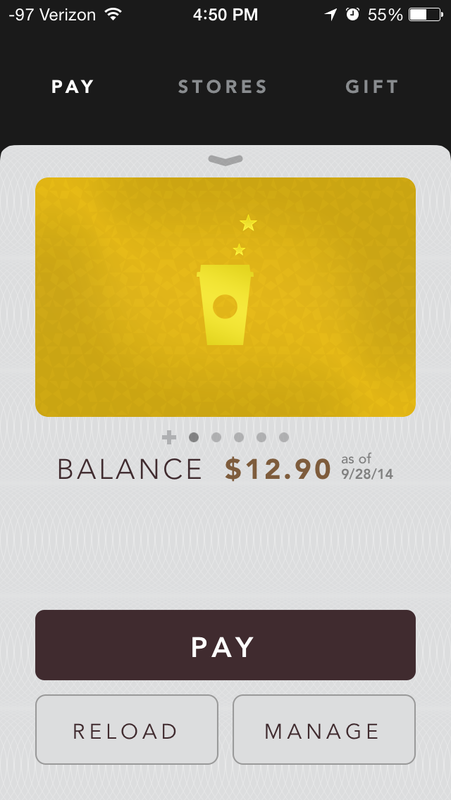 What I Like: When I originally joined the Starbucks Rewards program, I used a gift card that I reloaded as needed. (I lived at least forty-five minutes from the nearest store, so I did not use it often.) 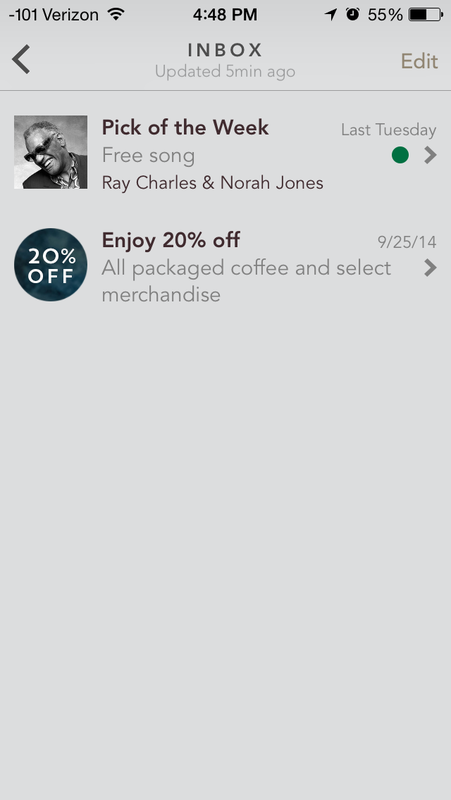 This app makes it easier for me to have my “card” handy without having to keep it in my wallet all the time. 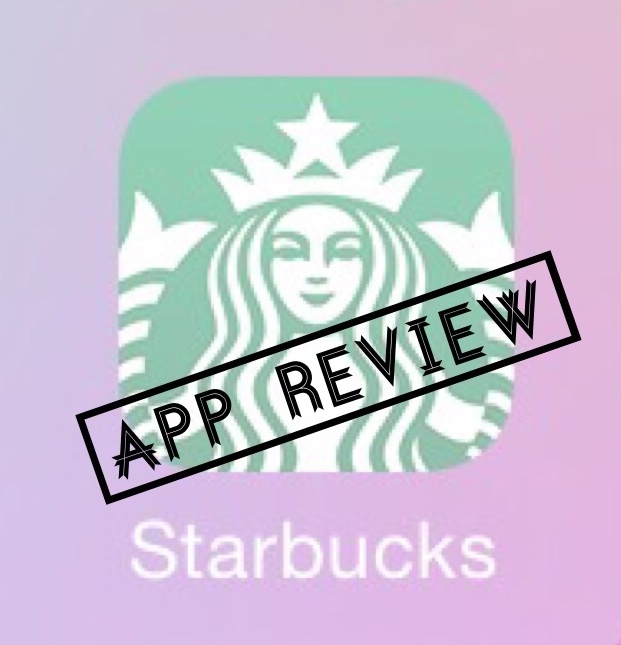 If ever you go to Starbucks, I suggest using this app or even a gift card that you can register to earn rewards. Members earn a free snack or drink after every twelve purchases and on their birthdays. 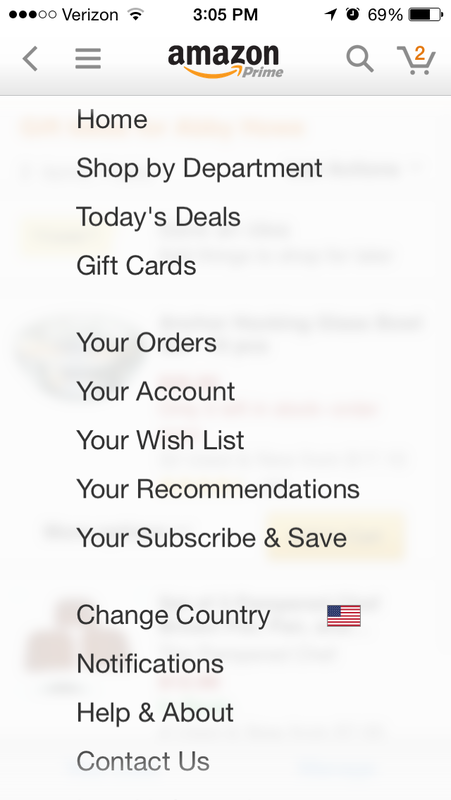 What I Dislike: Sometimes the app’s store finder glitches and will not find any stores near me, but will find stores in the same area if I enter the zip code or city name. 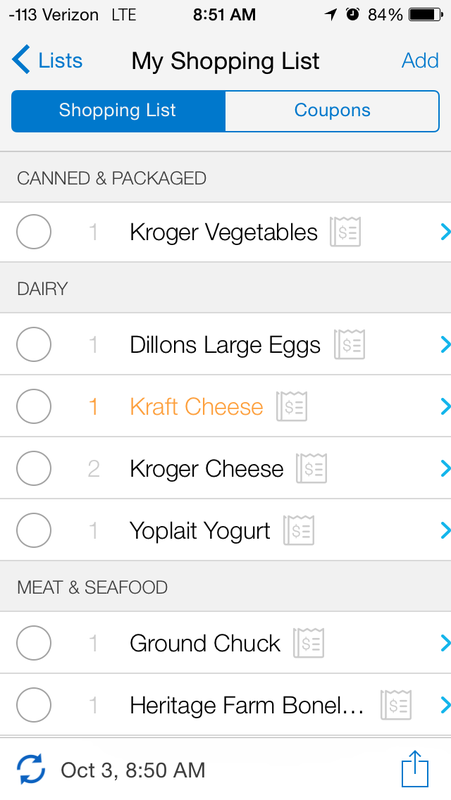 What It Does: Users can peruse weekly sale ads for their local Dillons or Kroger store and add items directly to the in-app shopping list. Those who have a free Dillons rewards membership can log into their accounts and add electronic coupons right to their cards or check their point balance. 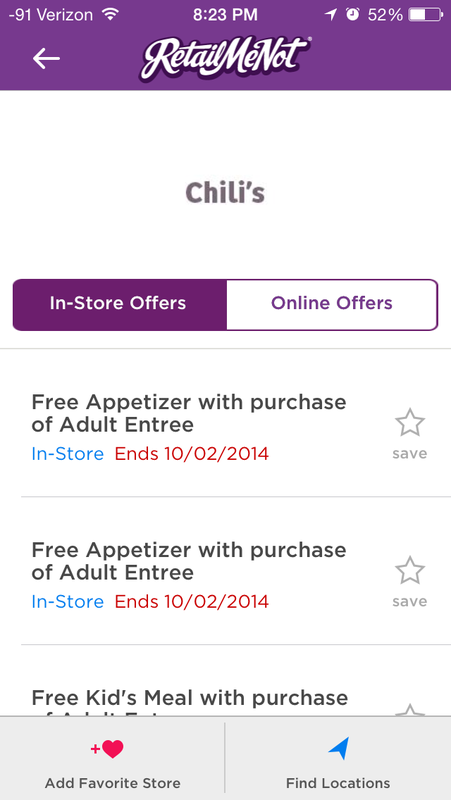 Finally, customers can use the app to request prescription refills. Some of these functions appear to be available on the Dillons website for people who do not have a compatible device. What I Like: I like to save money, but am a lazy couponer. 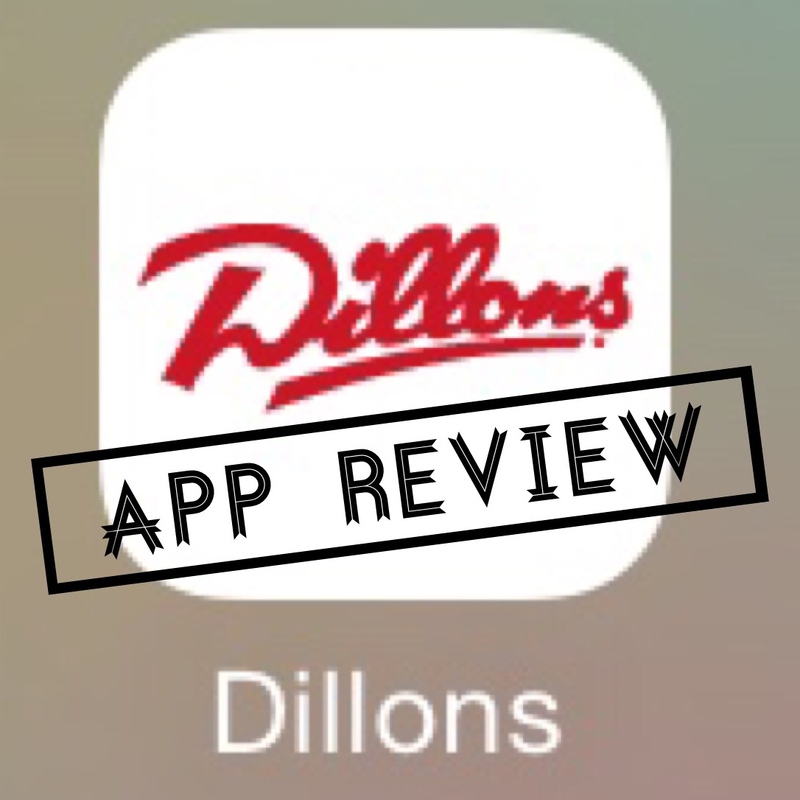 The Dillons app lets me add coupons to my Dillons reward card and automatically applies them when Brian or I make an eligible purchase. That’s right, we have our cards linked, so if I add coupons to my card, they automatically show up when either of us swipe our Dillons cards. 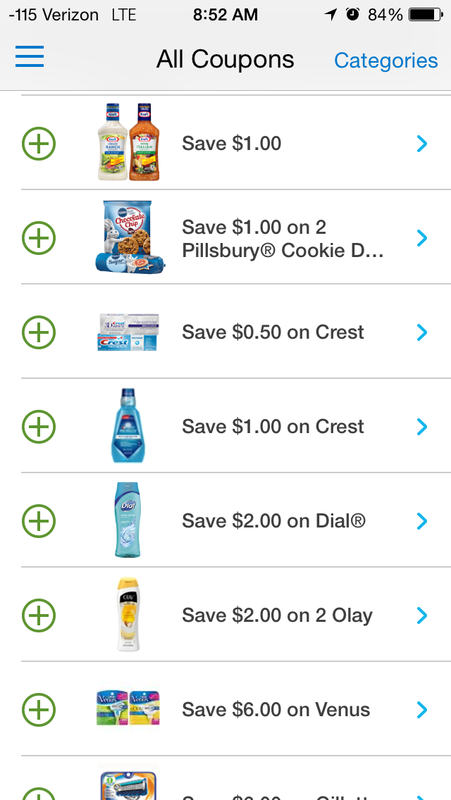 What I Dislike: When I browse the ads or coupons and tap on an item to view the details, the back button does not return me to the same place in the list. 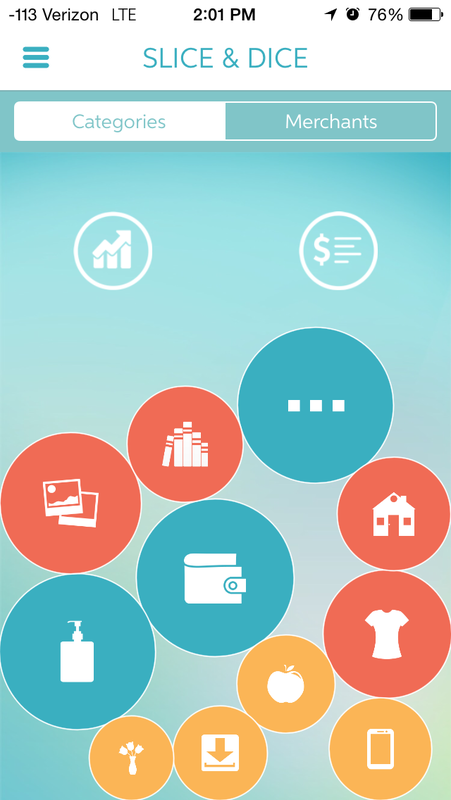 Cost: Free for iOS and Android, also available on the website. 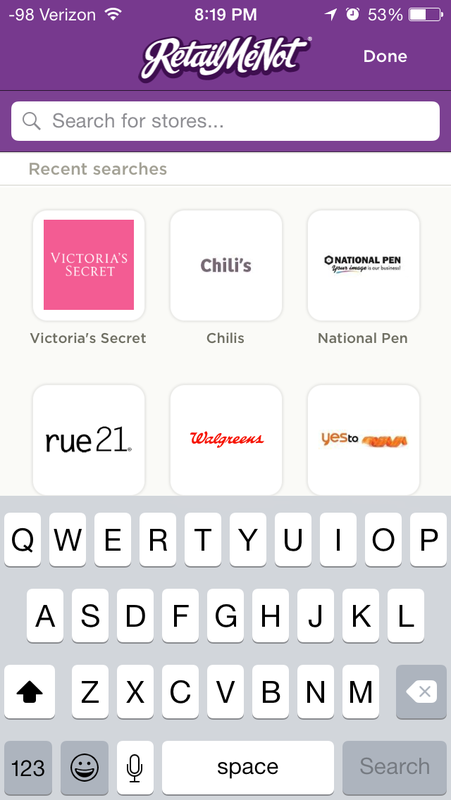 What It Does: Lets users search for coupons from stores, web retailers, and restaurants. 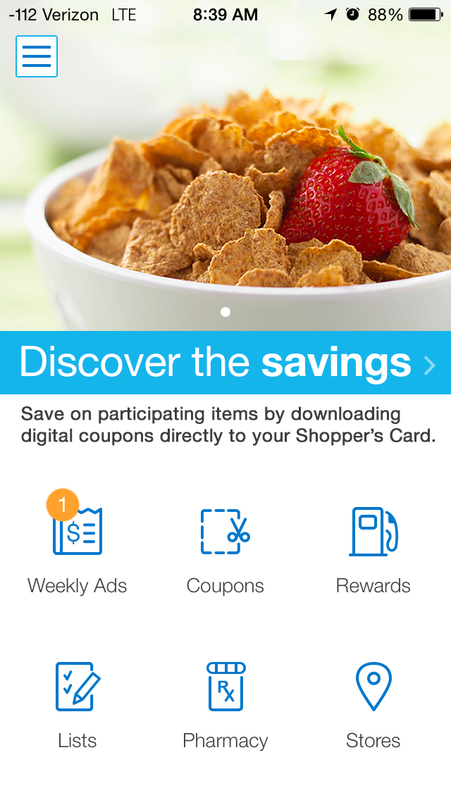 I look up stores while I am shopping, show the coupon to the cashier, and let them scan or enter the code right from my phone – no printing required! What I Like: Saving money, seriously. 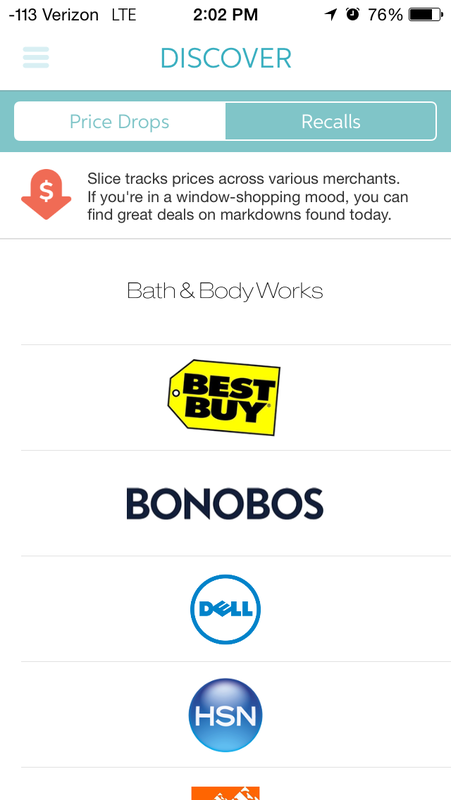 It is convenient for me to bookmark my favorite stores and even specific coupons. 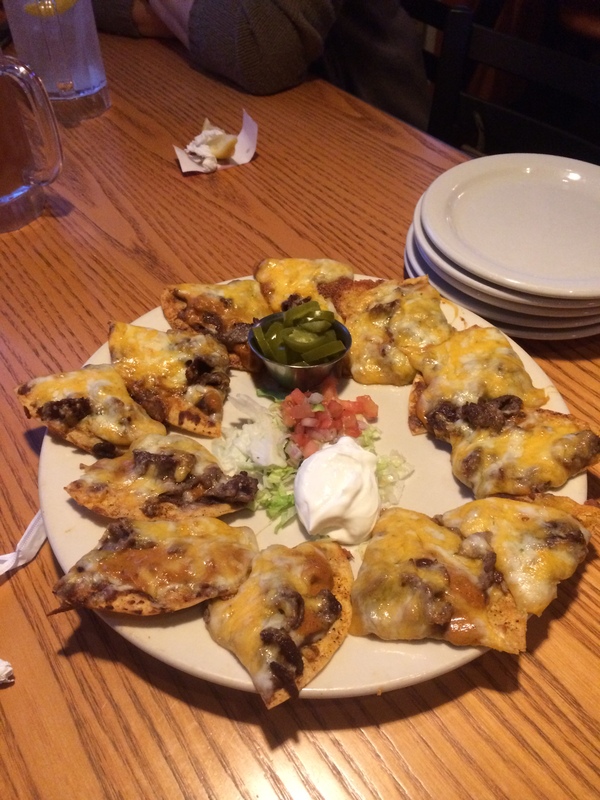 I also like the free-with-purchase nachos I got last month at Chili’s! What I Dislike: Occasionally expired coupons are not removed in a timely manner. It is not a huge problem, but is the only downside I have for this app.